Mules as a shoe trend have been kicking around for awhile but it’s always great when a favourite gets a fancy new incarnation that’s oh-so wearable and chic. 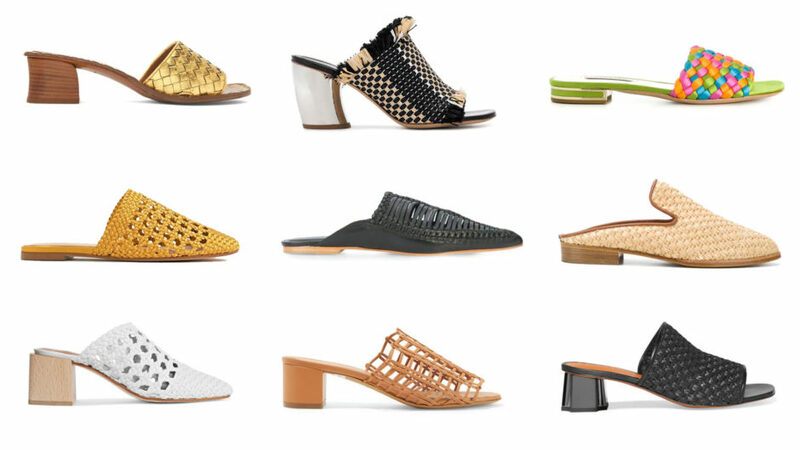 Woven mules are the spring/summer trend you’ll definitely want to get behind. Their woven feature make them feel relaxed and perfect for the warmer months, and available in either a flat or a block heel version, they’re ideal for work or play. Also they now come in so many different colours so you’re bound to find something that will work back with your wardrobe perfectly. From muted shades that are ideal for a dressier look to fun vibrant colours that are just made for days spent out in the sun this is one style of footwear you’ll most certainly want to consider giving a home. The great thing about woven mules is that they add a textural element to any look, giving any outfit another layer of depth. Also they’re extremely versatile. You could wear them with a summer dress, pair them with cropped straight leg denim or a skirt and they will feel equally as home making them a buy that will definitely earn its keep from a cost per wear perspective. From designer retailers to your favourite chain store, this is one shoe that you’ll definitely be seeing everywhere over the coming months so be prepared to jump aboard the woven mule bandwagon. Shop my edit of woven mules below. Whilst skyscraper heels will always have their place it’s also a welcome change to downsize a little and actually be able to comfortably walk around in a heel all day. 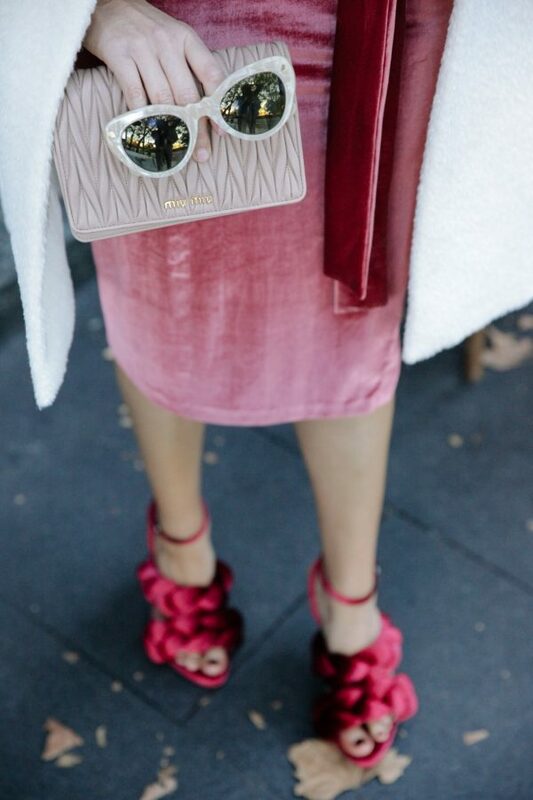 The kitten heel has become the heel of the season. And no wonder—they’re easy to run around in, have a classic vintage feel about them and look great with everything from cropped trousers to dresses and skirts. With every high profile designer from Dior to Balenciaga and Prada doing their own version of this shoe you can bet it’s going to become quite the staple in our wardrobes over the next few months. This is the time to go conservative on the hemline front. Keep things quite demure and aim for everything to hit at mid calf. It’s chic and will definitely work better with the shorter heel. From a slingback to mules and boots, you’ll see the kitten heel on all different style shoes this season. 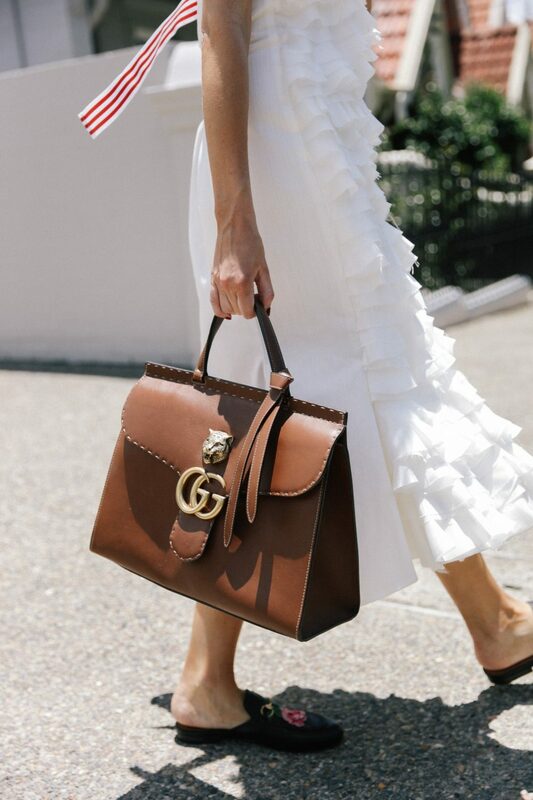 The easiest way to wear it is a classic closed toe pointy pump however a slingback looks very on trend and the boot is one way to really up the style cred of any look. It’s quite diminutive in heel size but you still want it to take centre stage so allow it to shine by opting to show a little skin. Try a midi length pant to show off a mule or a cropped jean that allows a little skin to show through between the boot and the denim. Alternatively if you want to wear a full length pant, ensure it sits just at the ankle bone. Whatever kitten heel shoe style you choose be sure to keep them pointed. The pointy toe will help elongate your feet and balances well with the fact the heel is shorter. Steal some style ideas below on how to introduce the kitten heel into your life and shop my top picks below. Do you ever go through phases where you just absolutely can’t get enough of one particular look or trend? I’m experiencing that at the moment with loafers. I am wearing them constantly. I’m currently favouring backless styles by Gucci including the pair above which have a really beautiful floral motif. One of the key reasons I’m loving them is because of their sheer versatility. Any shoe that can be worked back with multiple looks is a winner in my book. And loafers are the kind of thing that you can pair with everything from jeans to dresses and skirts and they work equally as well with each. While a plain black pair is going to take you far as they will go with virtually anything it’s also worth considering a vibrant style. There are so many options out there right now, from coloured gingham to glitter and animal print if you want to have a little more fun with your footwear. No matter the colour or print, the major benefit of loafers is that they’re so comfortable. So it’s time to give your feet a break and make some room in your life for a pair, I guarantee that you’ll wonder how you ever did without them. If there’s one type of footwear that’s become quite the constant in my wardrobe it’s white sneakers. They’re so wearable, comfortable and have had such a style evolution that it’s now acceptable to pretty much wear them everywhere. I’ve spoken about different ways to wear white sneakers in the past so you’ll know that when it comes to versatility, they are unbeatable. From dresses to skirts and culottes, they work with virtually everything. 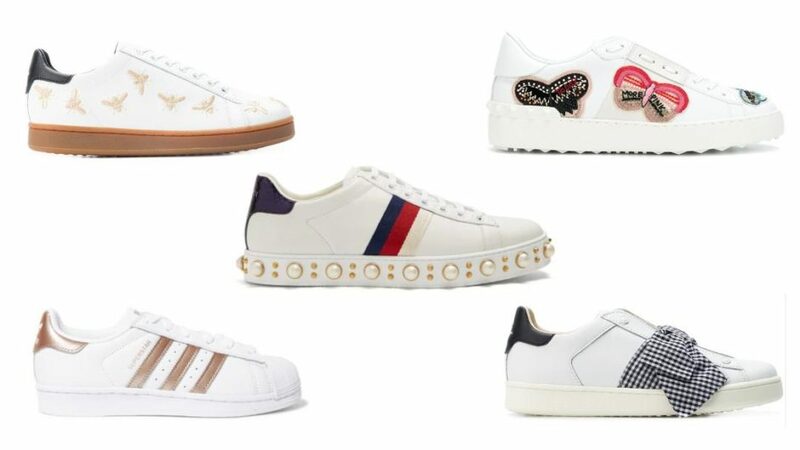 This season however your white sneaker options have evolved from minimalist to embellished and playful. 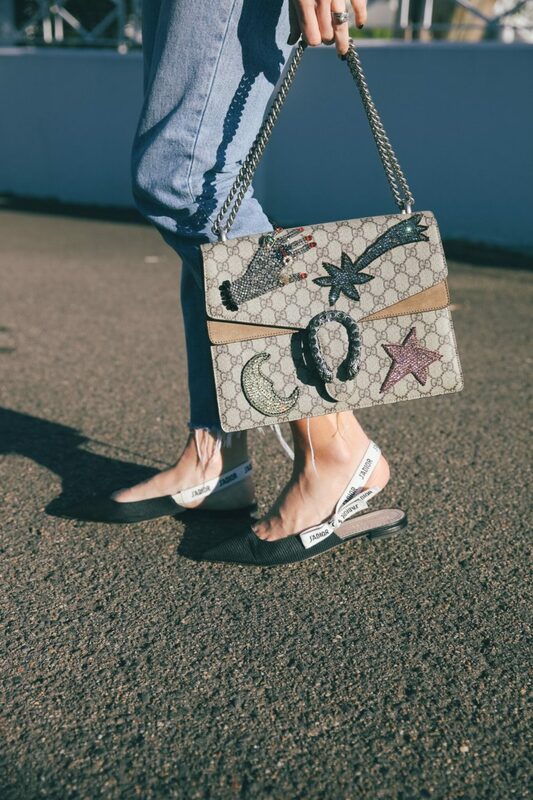 Gucci have done it best, incorporating everything from pearls to embroidery while Valentino have dabbled in butterfly appliqués to have some fun with this closet staple. If you prefer your sneakers pared back then never fear—there are still plenty of options that involve a simple, subtle logo and not much else. One thing is for sure though—your wardrobe most definitely needs a pair. You can always rely on Valentino to make something special. The sweet butterfly appliqués really turn this into a covetable wardrobe addition. Old school Adidas Superstars have been around for decades which proves their enduring popularity. The metallic trim on this pair give it a modern touch. The sleek, clean style of these sneakers is elevated by the simple metallic stripe. 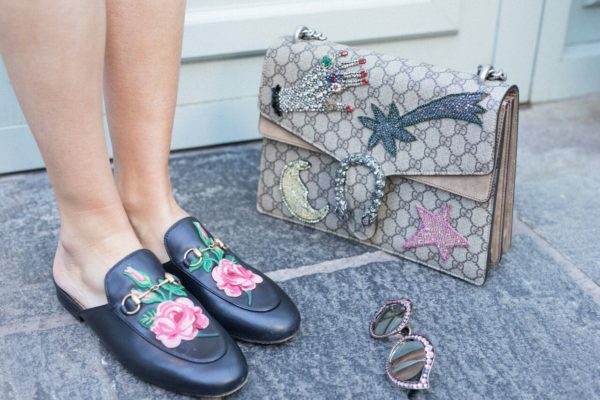 Gucci’s done this style shoe in several different colours and patterns but the embroidery on this style is particularly irresistible. In the mood to bee (sorry, had to do it!) different? 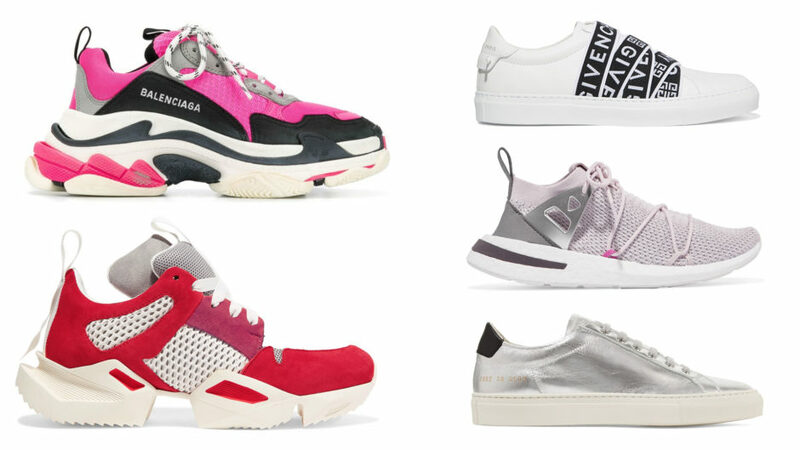 The fun motif shows that when it comes to sneakers, you totally can. I’m not sure about you, but I can’t go past a cute bow. A feminine touch to a sturdy street staple makes this an adorable footwear choice. A total classic, this understated style will ensure plenty of longevity and wearability. Superga certainly know how to do a sneaker and this particular pair is given a modern touch with an accent of gold. Hello, glamour! The pearl embellishment on these kicks dial up the wow factor and make them a standout piece. My wardrobe purchases are always considered—I make sure that whatever I buy will have longevity, has plenty of versatility and is of a good quality. When it comes to accessories, especially shoes and bags, I have to say that most of my buys are of the designer variety. This is simply because I love the fact that they’re always made beautifully and I know that the cost per wear is great. I have a handful of shoes that were initially a splurge but the number of times I have worn them over the last few years has ensured that I’ve been able to get the most value for money. And they still look great. 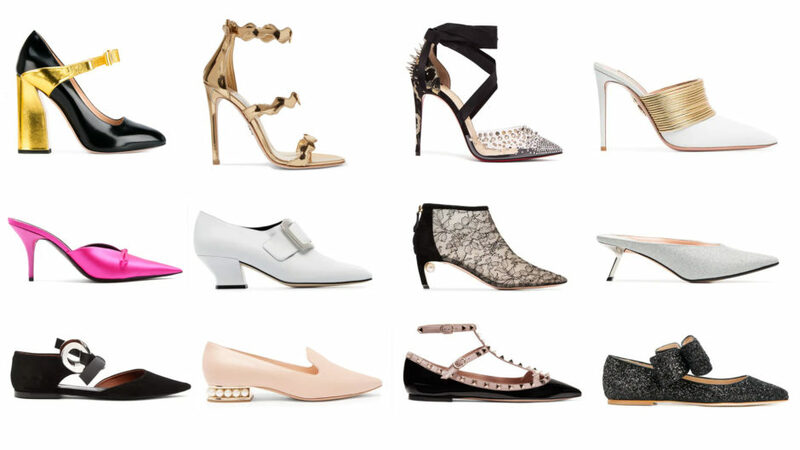 I have a few favourite brands but there’s definitely one designer brand that has consistently delivered on the shoe front, and it shows because almost half the shoes on this list is from their range! When it comes to footwear, this is what I consider to fall into the money well spent category. These are a statement shoe through and through so at first glance you may think I’d get limited use out of them but it has been quite the opposite. I’ve been able to wear them on so many different occasions. The pink hue and velvet fabrication make them striking but when used as an accent piece to add a pop of colour to an oufit they’re able to be worked back with myriad looks so easily. I’ve had these shoes for a few years now and you know what? I love them now as much as I did when I first got them. I think gold is such a great colour as it can be worn with so many different outfits. 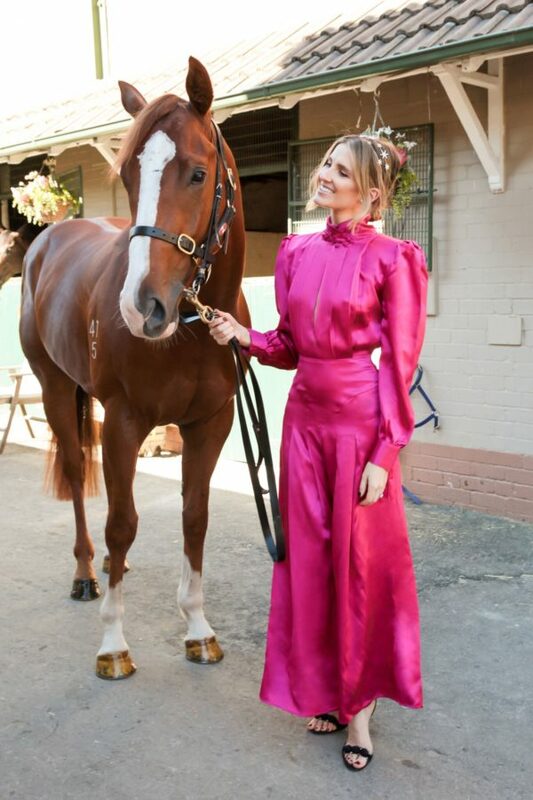 I’ve worn these to the Melbourne Cup to work functions and weddings and I’d seriously be lost without them. The pearl detail also gives it a little something extra and adds a luxe feel. If you don’t have a pair of sock boots for winter yet start hunting down a pair because I can guarantee you’ll wear them to death. The design of this Balenciaga pair is quite simple and streamlined making them a style chameleon. I’ve worn them to Fashion Week and to big launches and in street style shoots and they are worth every penny. My love for these shoes is endless. And I swear that they are ridiculously versatile. They’ve become a go-to in my wardrobe because the design is simple enough to be able to easily pair with a multitude of ensembles, however the finishing details elevate them into something special. These shoes have made an appearance at everything from big gala events to launches and nights out with the girls. Gucci can seriously do no wrong. Their footwear range is always on point, just that little bit different, and the finishing details are always next-level. 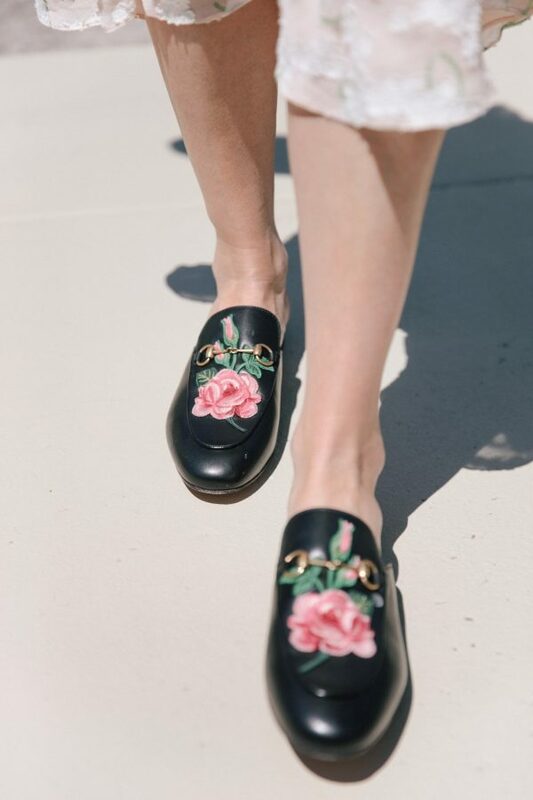 These slippers are given a special touch by the embroidered flowers, however still maintain the classic sensibility of the brand with the horsebit buckle and silhouette. I’ve found I can wear these shoes with everything from dresses to pants, and transition them from work to off duty style easily. And hello again, Gucci! I swear white sneakers have become an indispensible part of my wardrobe and these especially have become a mainstay in most of my looks each week. I wear them when I’m running around with the girls, to the office, if I’m on the go with work appointments… the list is endless. They’re also so comfortable which earns them major brownie points. Worth every cent. Which shoes in your wardrobe have proven themselves in cost per wear? If there’s one thing that’s paramount to me when it comes to my style these days it’s comfortable footwear. I tend to favour flats most days unless I’ve got an event that requires something a little dressier. 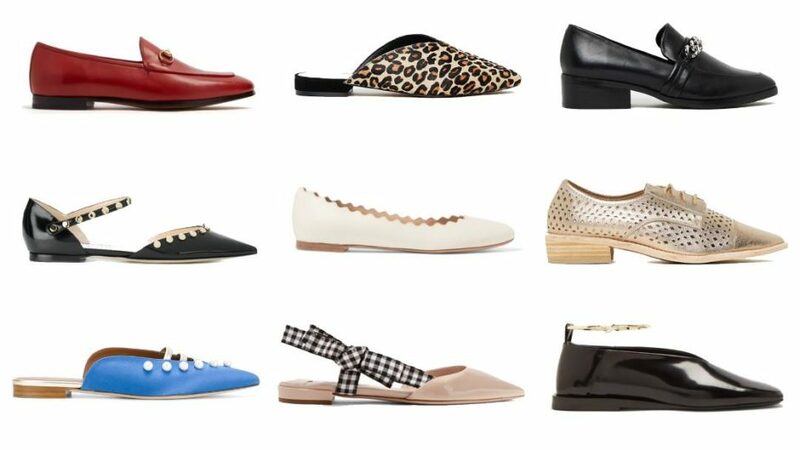 That said, flats have certainly come a long way–they’re now equally as stylish if not more so than their slightly more vertiginous counterparts and the best bit is you can walk in them all day without any issues. Whether it’s a ballet flat or a great loafer you’re after, these are some of the best styles out there at the moment that will have you walking around in style. The sweet gingham strap and the blush pink tone make this the ideal option for those days when you want an ultra feminine look. The hue, the pearls… it all makes for a truly luxe look. Sometimes simplicity is best and this classic style would work well for work and play. I love embracing a touch of animal print from time to time and this shoe adds a great bold touch to a look. The elegant style of this shoe is taken in a slightly edgier direction by the studded detail. A great option for those times when you want an elevated flat that looks dressy. If you don’t own a pair of neutral flats it’s definitely work considering this beauty by Chloé. The scalloped edges make for a pretty finish whilst the simple style makes it quite versatile. The patent finish and gold ankle strap give this directional shoe a few classic finishes. I spoke earlier this week about the everlasting appeal of these shoes. However if you want to dial it up, why not consider a fire engine red pair? A guaranteed showstopper! A pair of lace up flats is a great alternative to a loafer or ballet silhouette and the metallic finish give this shoe some punch.